Finally! As anyone with facial hair will tell you, it grows. Except in video games, where beards seem suspended in time. Not anymore. 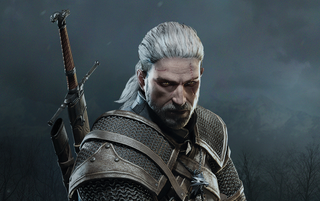 In Witcher 3, the beard of series protagonist Geralt grows in real time. According to Eurogamer, the game's developer, CD Projekt, said that the beard grows "as time passes" and when the character changes locations in-game. This was first pointed out by NeoGAF user His Majesty and German game magazine Gamestar. "The beard has several 'states' and these states determine its length - the longest is really long but it's not Gandalf-long," CD Projekt's Michał Platkow-Gilewski told Eurogamer. However, if you download the game's free Beard and Hairstyle DLC, Geralt's facial hair will stop growing and remain unchanged throughout the game. This is the first I've ever heard of a character's facial hair growing real-time in a game. In other games, your character's beard grows at certain points in the story, like in Assassin's Creed, or you pre-set the facial hair, or, like in the Fable games, you buy beards and moustaches. I'm all for this in-game beard growing! Shaving mini-games, too. Make it happen, CD Projekt! Do it. The Witcher 3 will be out on May 19 for PC, PS4, and Xbox One.